We moved around a bit in my early years - Colorado, Wyoming, Kansas. I consider myself a Texan, having lived there since I was eight, and had generations of family there since the Texas Revolution. In the past four months I've released two books. Andromeda's Fall is the first book of my new Shadowcat Nation series. 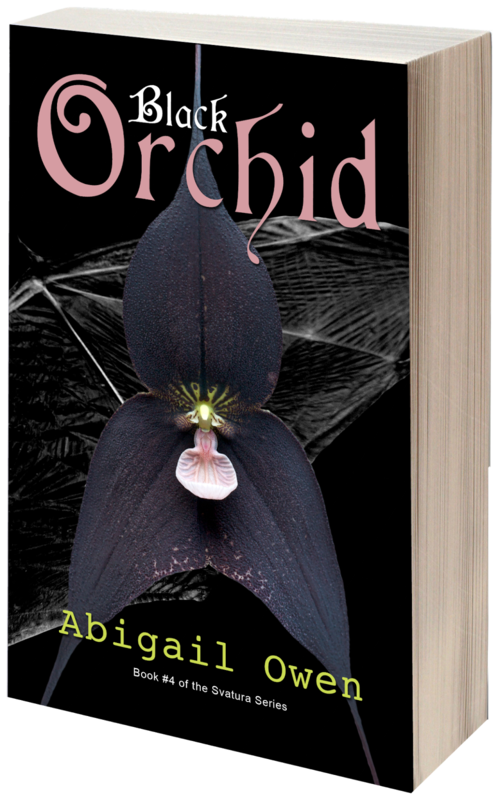 And Black Orchid is the fourth and final book of my Svatura series. I've been writing all my life. I wrote stories for a long time. I started my first book when I was about twelve. It's my escape, my stress relief. Some people run, or play sports. I read and write. I've always considered myself a writer. But I will say that it's felt more "official" since I started self-publishing and interacting with readers who aren't my family. I'd been trying to finish a book for years - started at least ten, maybe twenty that never finished. Blue Violet was the first book I finished. I'm not sure why. Perhaps because it was my first paranormal, rather than contemporary. Perhaps because I found a heroine I really wanted to see finish a book. I'd say I'm fast paced and fairly no nonsense. I like to focus on the characters most of all, and especially enjoy dialogue. I decided I wanted a title that meant something on its own. I eventually landed on flowers. In the Victorian era, flowers were given meaning. Each book title in the series means something for the book. Black Orchid means magnificence, love, beauty, refinement, reflection, great power and absolute authority. Love - a lover or a family - conquers all. It defeats fear, grows abilities, and even slays dragons. The settings are realistic. Beyond that, not much. Some of the settings or likes and dislikes of the characters are my own. But as a paranormal romance, this book is primarily imagination based. Jane Eyre by Charlotte Bronte helped me realize that classics could be interesting. The "Thrawn" series of Star Wars books got me into Science Fiction. Summer Rainfall by Kerry Allyne got me into Harlequin romance. Harry Potter showed me incredible world building and how to do a series right. How Green Was My Valley makes me cry every time, to this day. Lucy Monroe. She is a very successful contemporary romance and paranormal romance writer for multiple publishers like Harlequin, Kensington, etc. She's awesome and does exactly what I want to do. I recently started reading Kristin Miller. Really like her world building. I'm in the editing phase on Sarai's Fortune, the 2nd Shadowcat Nation book. I'm also working on a new ghost-based paranormal romance set in small-town Texas. My eight-grade English teacher, Mrs. Gunn. She believed in my writing skills enough to get my into competitions and move me into the Advanced classes. I ended up majoring in English. Changed my life. If you're looking for a pure escape and some really fun, strong characters then we definitely like the same books. And I love writing them. Giveaway: There is a giveaway for this tour. A $40 Amazon/B&N Giftcard or a Book Depository shopping spree of the same value, plus the first three books of the Svaturaseries will be given away as digital copies.